Although cougars are bigger than some “big cats”, they are considered a small cat due to their ability to purr and not roar. Cougars have over 70 different names and have the widest habitat range of any of the cats. Cougars in the wild live between 10 and 12 years. In captivity, they can live up to 25 years. Adult cougars are generally 6-7 feet long including their tails which are typically 2/3 the length of their bodies. Adult females average 85-105 pounds and adult males 140-170 pounds but can be up to 200 lbs.  Cougars come in a range of colors from buff to brown to gray. Cougars have a white underbelly and typically the tip of their tail is darker than the rest of their bodies. Cougars are solitary animals, only coming together to mate. Cougars are ambush predators, and will typically only pursue their prey for a short distance, succeeding approximately 20% of the time. Females will often "scream" when they are in heat to let males in the area know. This is how they got one of their many names, "Mountain Screamer". Cougars are very adaptable and can live in areas that range from tropical rainforests or conifer forests to high mountains and even the desert. People are cougars' number one threat. People have driven cougars out of the eastern part of the United States due to hunting and urbanization. Cougars no longer reside east of the Mississippi River except for a small pocket in Florida, known as the Florida Panther. Cougars have the widest range of all cat species. 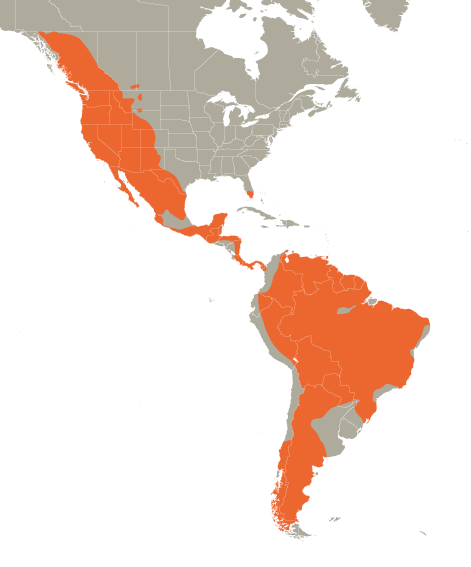 They live as far north as Canada and as far south as Argentina. Cougars were once prevalent in the eastern part of the United States but have been driven out west of the Mississippi River. They are no longer found on the east coast except for a small population in the Florida Everglades called the Florida Panther. The cougars #1 prey item are ungulates; deer and elk. But they also eat small mammals, including beavers, rabbits, mice, and birds like turkey. Occasionally, when husbandry practices need improvement, they will prey on livestock, including goats, sheep, and chicken. Cougars have an average gestation period of 92 days and have one to six kittens per litter but the average is two or three kittens. The kittens are born with spots that disappear as they get older, and they begin to eat solid food around 6 to 7 weeks of age. Cougars hunt primarily at dusk and dawn but it is not unusual for them to be active any time of day. Cougars have an increased level of cones in their eyes, which allows them to see in near darkness. These cones also give the signature green eyes. Cougars are listed as “Endangered” in the Endangered Species Act but this refers only to a couple of the subspecies including the Costa Rican Puma, Eastern Puma, and Florida Panther. 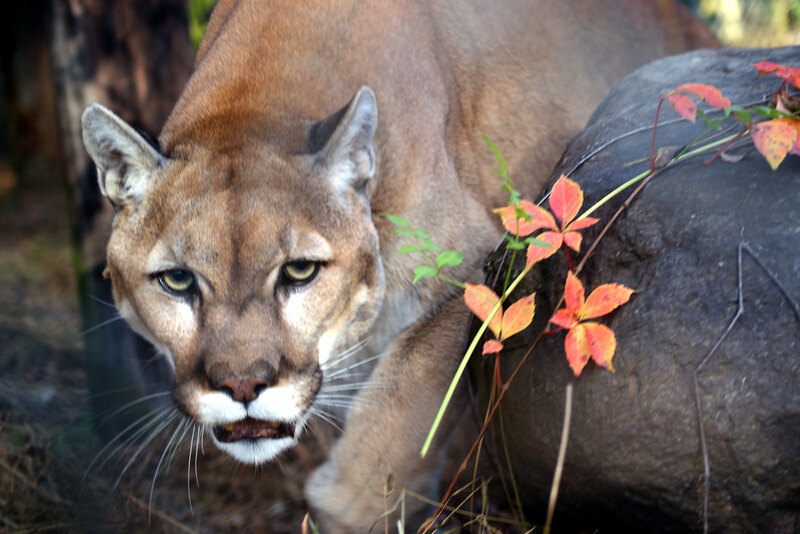 The major threat to cougars is habitat loss. 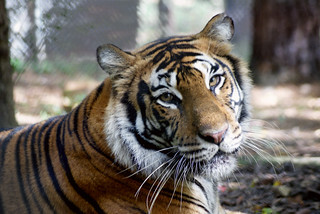 They have been driven to local extinction east of the Mississippi due to habitat loss.